On Saturday, October 20, I had just finished reading a Western novel, which I do from time to time to "decompress". Shortly after lights out, Steven J. Wright sent me a message that I discovered the next morning. 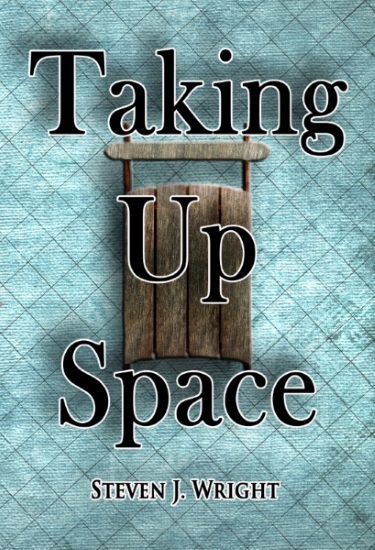 He wondered if I would do a review of his new novel, Taking Up Space, which was going to be published very soon. (After all, I wrote about his novel The Deception back in twenty aught thirteen.) I warned him that I would have to mention things I did not care for as well as positive, and he was okay with that. This child saddled up with some free ebook reading material under no obligation to give a glowing review. So, that's the disclaimer as well as a personal anecdote. Most folks don't know that I am writing up a review for a book, video, or whatever. This was an interesting experience. I was corresponding with Mr. Wright and giving him progress reports as well as some thoughts along the way. Although you have seen some book reviews on this site, I actually read very little Christian fiction. Writers (and movie makers) tend to have stereotypical characters, get preachy, and give sappy endings. Not in this case. 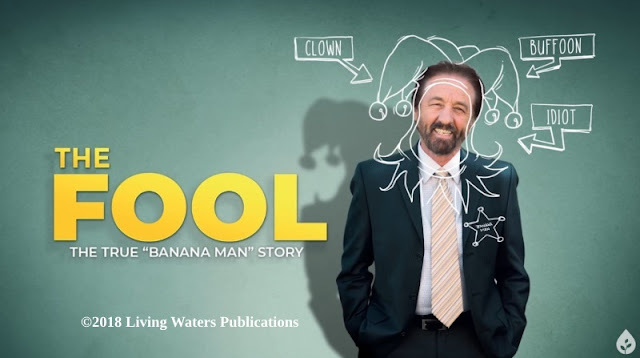 Mr. Wright did not write a "Christian" novel here. Instead, it is a novel from a Christian perspective about the sanctity of life. A couple of times (don't tell anyone this, it'll spoil my tough guy image), I was almost moved to tears — both of sadness and anger. There's your first indication that you get involved in the story. It is not difficult to imagine a writer with a secular worldview adding graphic violence and excessive profanity. No profanity here, and most of the violence is short. This shows that a good story can be told without going into such things. Some of the material was influenced by the author's experiences. Wright mentions a place called The Sinks in the Smoky Mountains, a place he has visited several times. An exceptionally evil character that is introduced early in the book has the nickname Black Dog, which came from one of the Bell Witch legends. Steven is acquainted with the Bell Witch tales. Part of the book deals with the elderly and infirm, and their quality of life. He works with the elderly and handicapped, so he has direct knowledge of some of these subjects. I like short chapters, and Taking Up Space has 37. This not only helps busy readers have a place to put it down (if they can) but to advance storylines. Yes, there are several stories here. We are introduced to important characters in the early chapters as the book progresses. I still wondered, "Who are these people, and what are they doing in my story?" The threads come together for the most part, directly or indirectly. We have an unwanted pregnancy, weaselly legal manipulation, two national crises (this was the big story), and a section on euthanizing the handicapped and infirm. Although Mr. Wright does not use the term, eugenics is involved. Eugenics is closely tied to abortion, rejecting the sanctity of life. This is what happens when people reject our Creator's plans values. One bad habit I have when reading or watching a show is to try and predict what is going to happen. That did not work very often here. I would be thinking, "I know what's gonna happen", and be wrong. That's a good thing because I think predictability is good in science, but undesirable in novels, movies, and so on. I suspect that we all know, or have been one ourselves, an "armchair quarterback". That is, someone with an opinion on how to solve problems for which he or has little or no real knowledge. (Sure, you've read the player's statistics, so you know that the coach fouled up by not putting in one player and removing the other. But you weren't there.) Likewise, some folks think they can solve problems their spouses have at their places of employment, or how the government can deal with healthcare. But "solving" one problem can create others. There are many times where the answers are not easy, and additional problems remain unforeseen. Mr. Wright shows how some subjects are far more difficult than we may imagine. I could write articles on several aspects of Taking Up Space or maybe have discussions in forums. Perhaps a simpler thing to say: this book can make you think. That said, I still recommend Taking Up Space because it is thought-provoking, gives a strong pro-life position, has believable characters (with faults as well as qualities), intriguing storylines, and more. It certainly is not boring! For that matter, you might want to have members of a group each get a copy and use it for discussions. Taking Up Space is available in both paperback and Kindle versions. Hey, just in time for Christmas shopping!